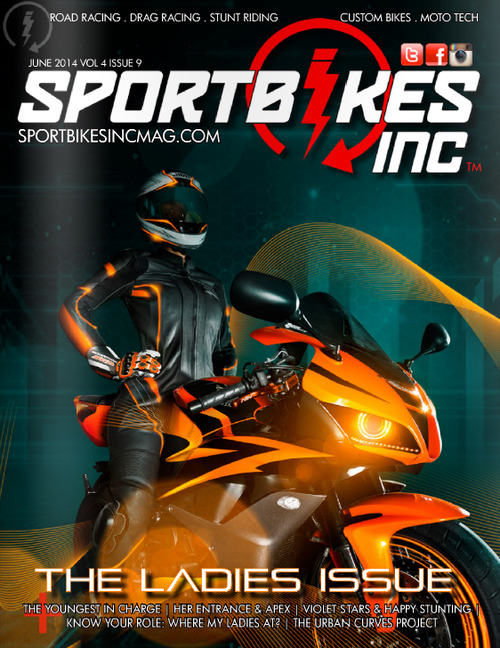 The June issue of Sportbikes Inc. Magazine has arrived, and within you can find some exclusive photos of my Monster, Pandora’s Box, for your viewing pleasure. I am flattered and honored to have been included in the publication featuring the lovely Red Spade on the cover. 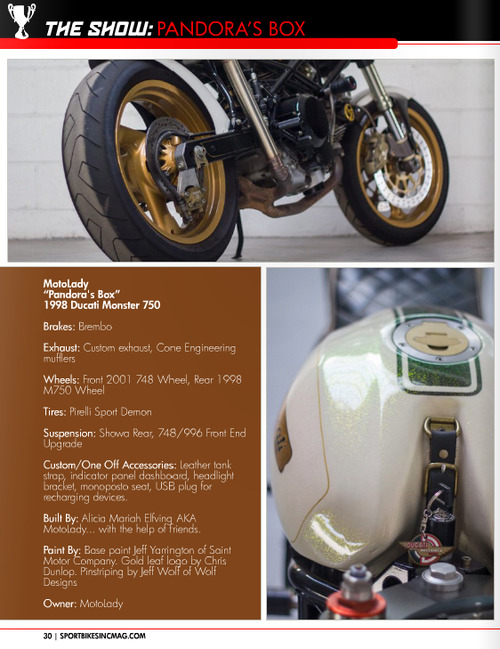 It includes a short article I wrote about the completion of the bike, which you can read online for free at SportbikesIncMag.com.